Castlestone provides your wanted NFC labels, compliant with NFC forum Type 1-4. Near Field Communication (NFC) is a wireless communication technology, which works only at close distances only a few centimeters. This close range makes NFC tags safely read only by the intended reader. NFC is part of high frequency 13.56Mhz, and also following ISO14443A/B, ISO15693. Our NFC label can be with various kinds of size and customized shapes. Ferrite layer is optional to be applied to make the label workable when sticking on metal surface. 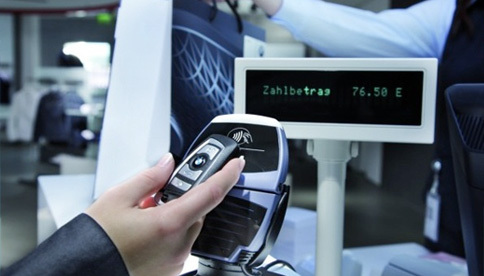 Nowadays NFC is widely used in mobile payment, mobile phone task launcher apps, as well as other applications which needs RFID high frequency. Signature panel, scratch-off panel, metallic background, laser foil, lenticular foils, hologram, Barcodes, etc.